Marco A. Sanchez was born and raised in Texas. The son of a steel worker and a migrant farm worker, Mr. Sanchez has long believed in and respected those who serve others. During his undergraduate, graduate and law school years he worked as a social worker, an adult probation officer and a healthcare administrator — all experiences that have had a profound impact on his legal practice. Additionally, he was a United States Military Reservist from 1986 until 2013. The Law Offices of Sanchez & Farrar, PLLC has offices in Houston and Austin. An appointment is necessary to meet directly with Mr. Sanchez to discuss your case. 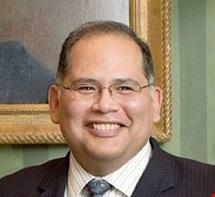 Mr. Sanchez is admitted to practice law in Texas and is well known within the legal community. Mr. Sanchez received his J.D. from Texas Southern University. He also holds an undergraduate degree from Saint Mary's University at San Antonio and a graduate degree from Texas A&M University at Corpus Christi. Mr. Sanchez was a Reservist in the United States Air Force from 1986 until 2013, having begun his military service as an enlisted medic. He retired as a Lieutenant Colonel Operations Officer after having led military campaigns across the globe. He employs the discipline he learned as an airman and an officer in every case he takes, as is evidenced in his careful analysis of each situation to obtain optimal results for clients.